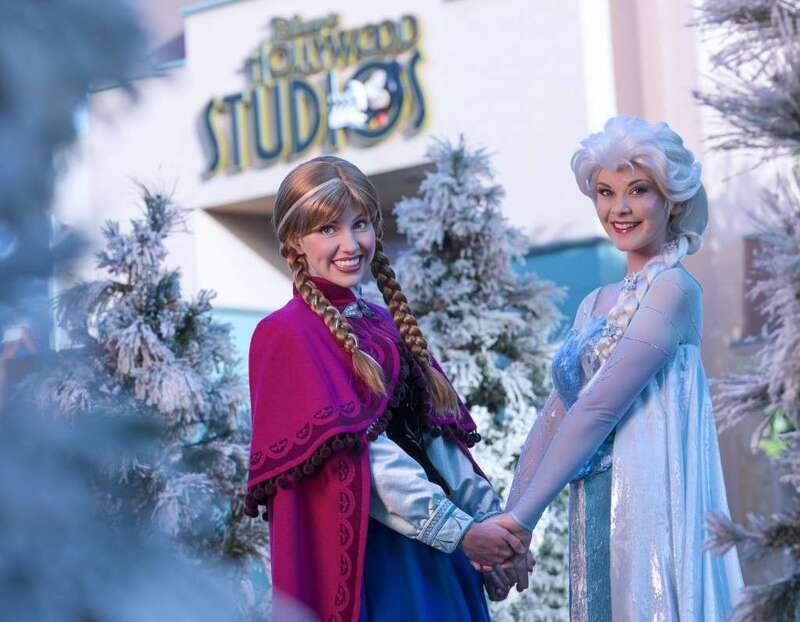 As you make know, Frozen is set to take over Hollywood Studios starting on July 5th! Well today, Disney released information about a special premium package that they are offering. For $59 dollars for adults, and #39 dollars for children (including tax and gratuity) you will get reserved viewing of three of the most anticipated new experiences. Here is how it is going to work: . Guests who book the package will check in at Min and Bills Dockside Diner starting at 10:30 a.m., then enjoy refreshments and reserved viewing for Anna & Elsa’s Royal Welcome procession at 11:00 a.m. Later on, they’ll experience reserved seating at one showing of For the First Time In Forever: A Frozen Sing-Along Celebration, which takes place between 12:30-7 p.m. The evening will end from 8:30 – 10PM with an exclusive dessert party in a reserved area for viewing of the nighttime Frozen fireworks spectacular. (Note: Anna and Elsa’s Royal Welcome procession and the dessert party offers a reserved viewing area, no seating is available. Wheelchairs and ECVs will be accommodated). As always, park admission will be required for this package and is not included in the price of the package. No discounts will be offered for this package either! If you want to book this package, you can do so by calling 407-939-1939! This package runs from July 5th until September 1st, 2014 (with the exception of August 23rd). If you are thinking of doing this, make sure you book fast. Just like Ice in Orlando, it will be long gone before you know it!